Gorgeous card Pat, super cute...enjoy your weekend. Beautiful card with a sweet image, love the papers and layout. Hope you get your quiet weekend! This is fabulous Pat, such a sweet image and lovely papers - a super card. 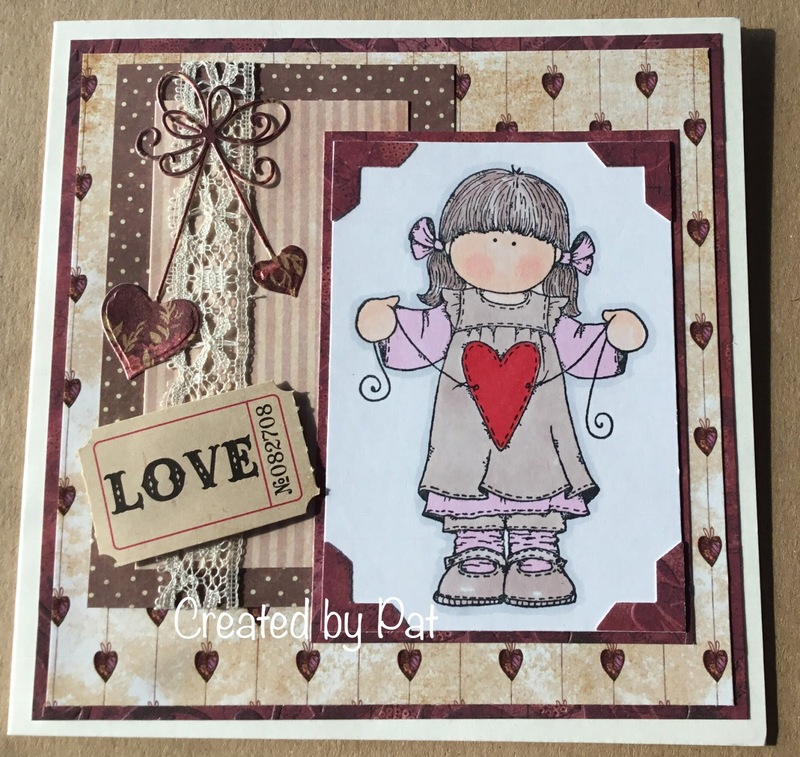 Gorgeous card, Pat - great selection of papers, such a cute image and your Love ticket is the perfect addition. Our snow has mostly gone now and the sun has been shining today - still bitterly cold though. Hope it's warmer with you. This is such a beautiful card, Pat. What lovely, subtle papers - and the H & S image is so sweet!